International Research Journal of Business Studies (IRJBS), with registered number ISSN 2089-6271 (Print) and ISSN 2338-4565 (Online), is open access and peer-reviewed scientific journal published by Prasetiya Mulya Publishing, Universitas Prasetiya Mulya. IRJBS published three times a year (December-March, April-July, and August-November). IRJBS was established in 1993 as a biannual journal namely Jurnal Manajemen Prasetiya Mulya (ISSN 0854-1752). In 2008, the journal name was changed to INTEGRITAS Jurnal Manajemen Bisnis (ISSN 1979-2964) which published three times a year in April, August and December. 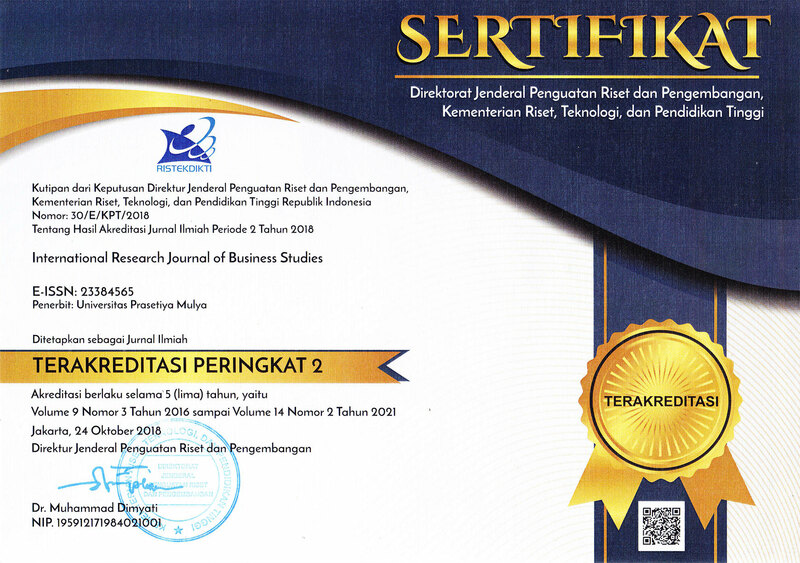 In 2011, for the second time, the journal changed its name to International Research Journal of Business Studies (IRJBS). It is accredited by The Ministry of National Education of Indonesia based on SK DIKTI No. 83/DIKTI/Kep/2009 (for the period of 2009-2012) and SK DIKTI No. 80/DIKTI/Kep/2012 (2012-2017). Since October 2018, for the third time, IRJBS has been accredited by Ministry of Research, Technology, and Higher Education of the Republic Indonesia based on SK DIKTI No: 30/E/KPT/2018 (2016-2021). In this period, IRJBS has achieved the second-grade level (Sinta 2) in Sinta (Science and Technology Index) managed by the Director General of Strengthening Research and Development, Ministry of Research Technology and Higher Education of the Republic of Indonesia. 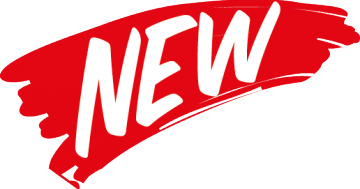 Since January 2019, IRJBS has been upgraded into the new server. Start from Vol. 12, N.1 (2019) edition, the journal will be published with the new energy. For online submission go to this link. To read our archives, please head here. For the third time, IRJBS has been accredited by National Journal Accreditation (ARJUNA) managed by the Ministry of Research, Technology, and Higher Education, Republic of Indonesia. In this period, IRJBS has achieved the Second Grade level (Peringkat 2, Sinta 2) from the year 2016 to 2021. See the accreditation certificate, here. Is There Any Discrimination Towards Young Women in Indonesia’s Labor Market?